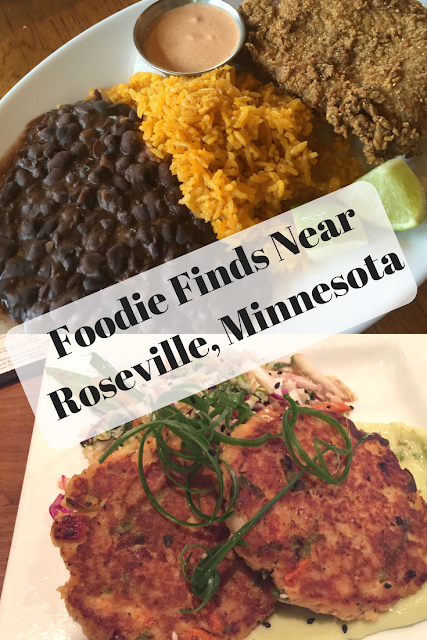 **Disclosure: Thank you to Visit Roseville for hosting our incredible visit to Roseville, Minnesota! Views are 100% my own. 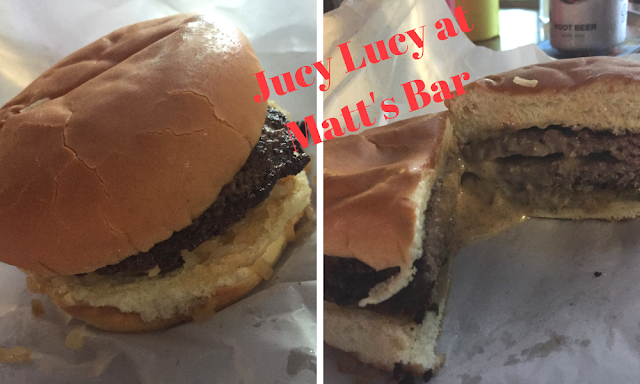 The Jucy Lucy is definitely one of those comfort foods along with a yummy basket of fries. My daughter had one of her favorite comfort foods -- grilled cheese! Matt's Bar is definitely a favorite. People were streaming in when we arrived. We were lucky to arrive right before the rush. After a hot day in the sun while exploring, we needed some ice cream! So, we headed to the Grand Ole Creamery. The Grand Ole Creamery began churning premium ice cream in 1984. 31 flavors are offered every day! 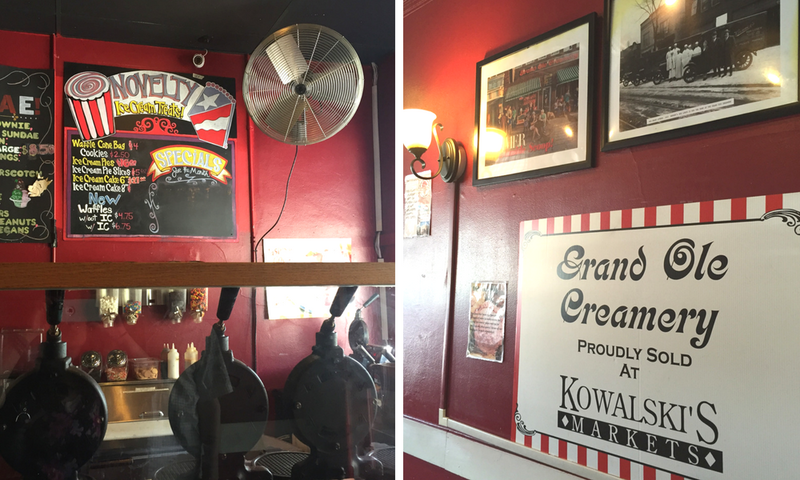 The creamery also makes fresh homemade waffle cones. We did enjoy some delicious ice cream! 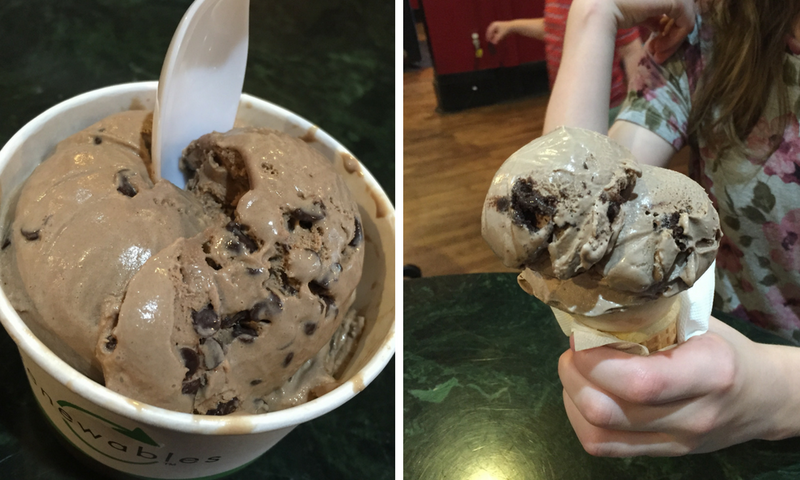 I enjoyed an incredible scoop of mocha chip ice cream. Heavenly! We ventured to Good Earth Naturally in Roseville for dinner. Good Earth appealed to me because we could enjoy a healthier, more well rounded meal while treating ourselves to dinner out. Plus, they have loose leaf tea which is always a plus! Good Earth works with local growers and uses seasonal produce in its recipes. 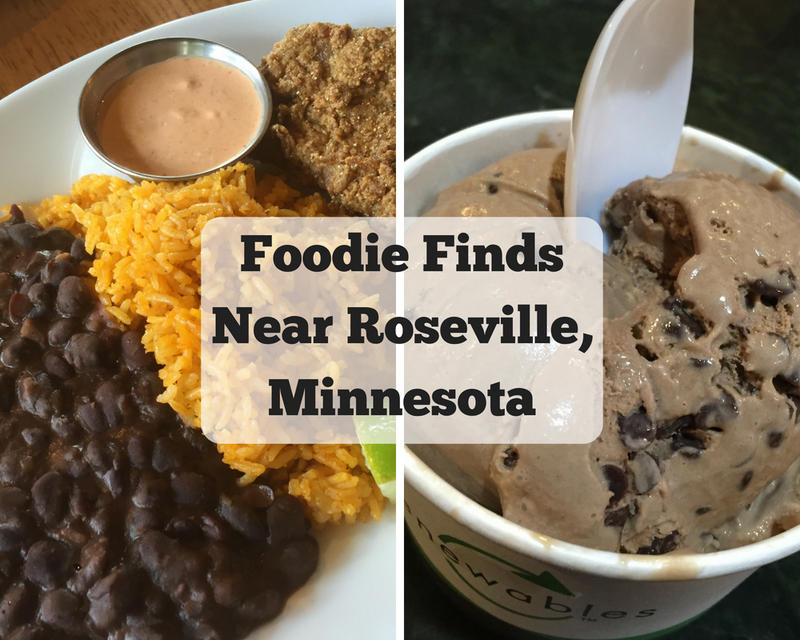 Ingredients at Good Earth are simple and without the junk. So, it is a comfort to find a place like Good Earth for meals while traveling. For dinner we enjoyed the vegetable soup, beef kabobs, hummus platter and salmon cakes. 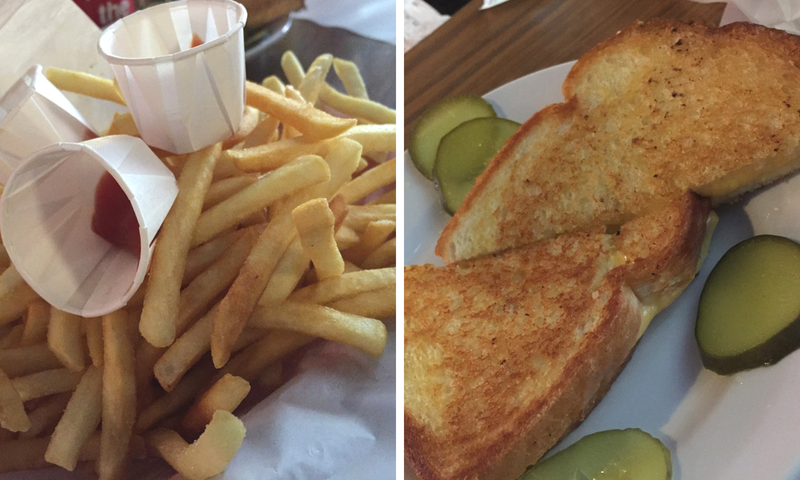 As you can see, we enjoyed well rounded meals with plenty of veggies! 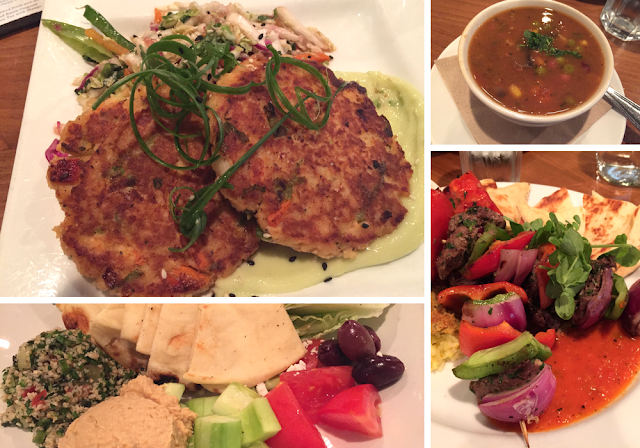 Incredible and wholesome meals at Good Earth! We did return to Good Earth on another morning for breakfast. I did have to get my morning loose leaf tea, of course! 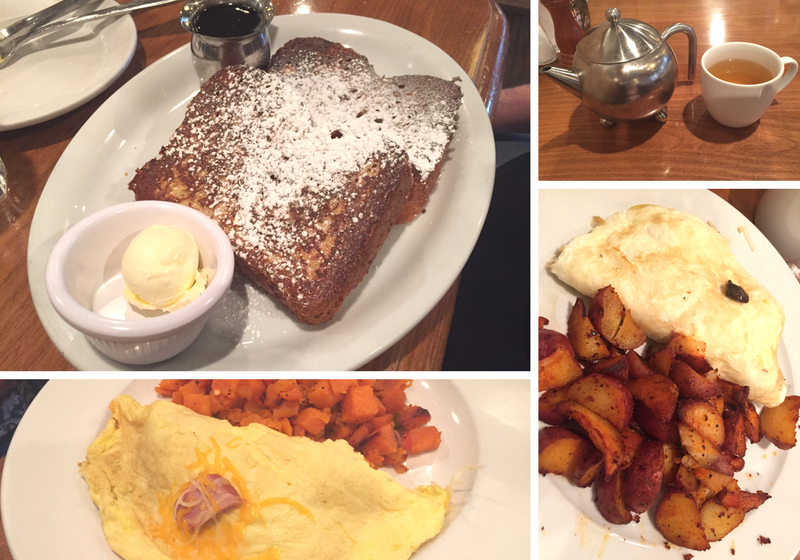 In addition to a pot of loose leaf, we enjoyed two omelettes and French toast. Great way to start the day! Good Earth also has a tempted baked good section. A perfect place to pick up a treat! 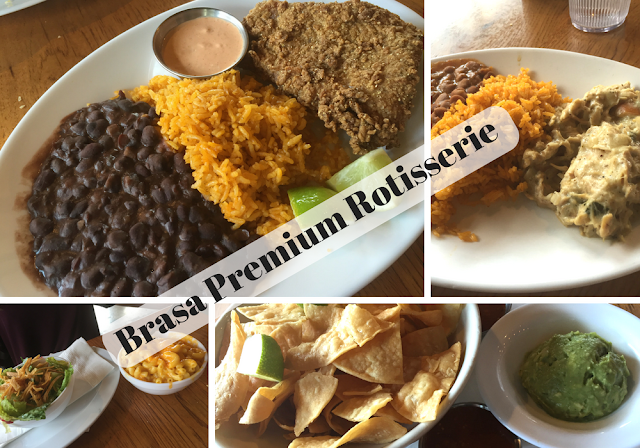 For one dinner, we explored Brasa Premium Rostisserie in St. Paul which features Southern, Caribbean and Mexican flavors. Brasa sources ingredients locally, so you know you are going to get a meal full of fresh flavor! For our dinner, we started with chips and salsa. My husband had the pulled chicken in a light cream and pepper gravy. I had the fried catfish. My daughter went with a side salad and mac and cheese. Everything was delicious! Of course, we did have to try some locally roasted coffee. 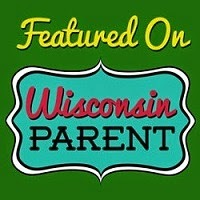 On this visit, we tried Dunn Brothers Coffee at its Roseville location. 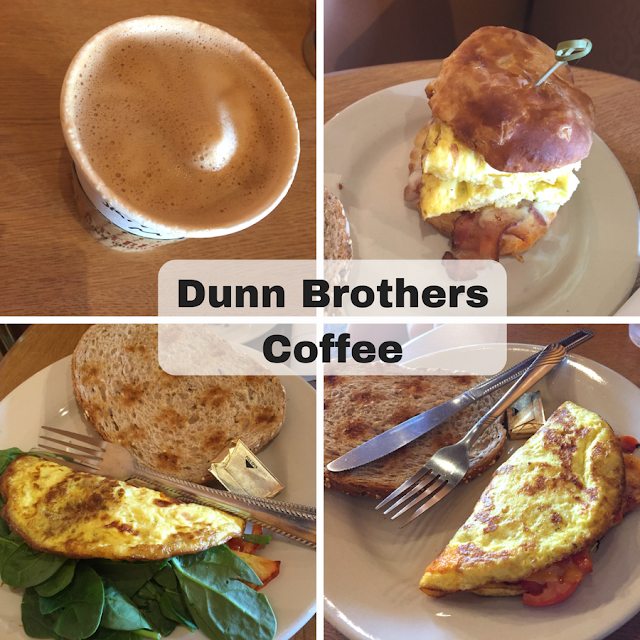 Dunn Brothers Coffee not only has coffee beverages but also breakfast sandwiches and omelettes as well as light lunch fare. My daughter and I both went with omelettes with our choice of fresh veggies. My husband went for a bacon and egg biscuit. I added a mocha latte to my order. Yum! Once again, I love places where I can get some veggies on a trip -- so I am happy to know about Dunn Brothers for a quick option. French Meadow Bakery & Cafe actually started off in 1985 as the first organic bread bakery in the US. 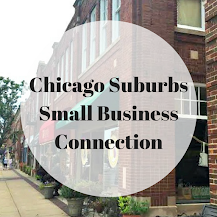 The bakery grew to include several cafes and a the Bluestem Bar which features sustainable organic wines, local taps, full table service and a private dining room. 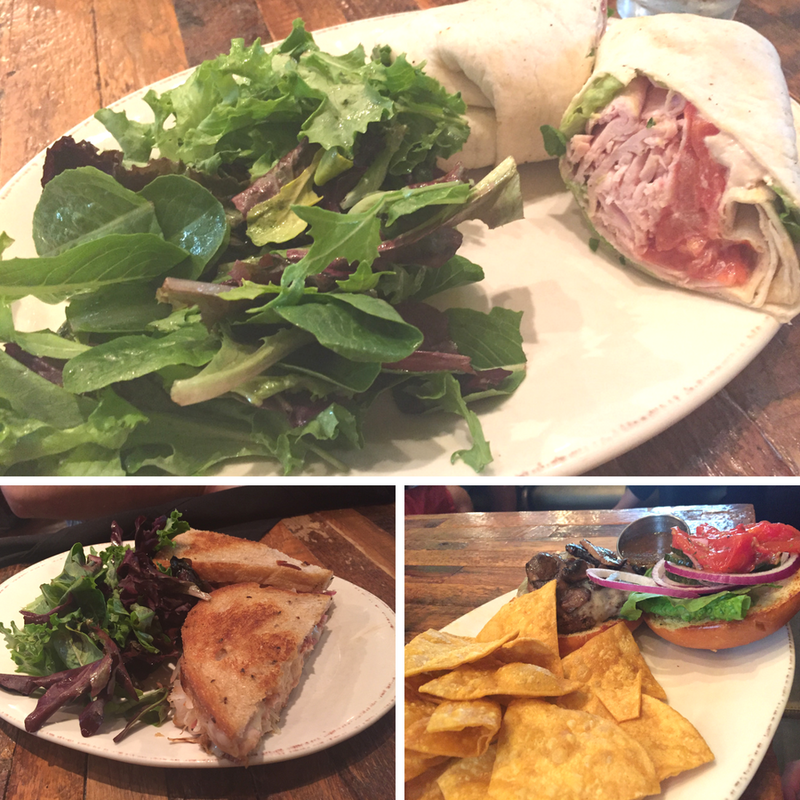 French Meadow continues to emphasize fresh, local and sustainable ingredients. We arrived for lunch and enjoyed a California wrap, a Rachel and a mushroom burger. 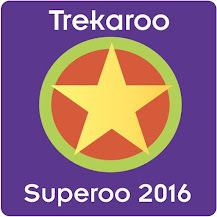 Once again, high quality food and delicious! While having a relaxed setting, French Meadow still had a sophisticated vibe. All of the food we tried was incredible! We were so happy to find so many places with locally sourced ingredients. 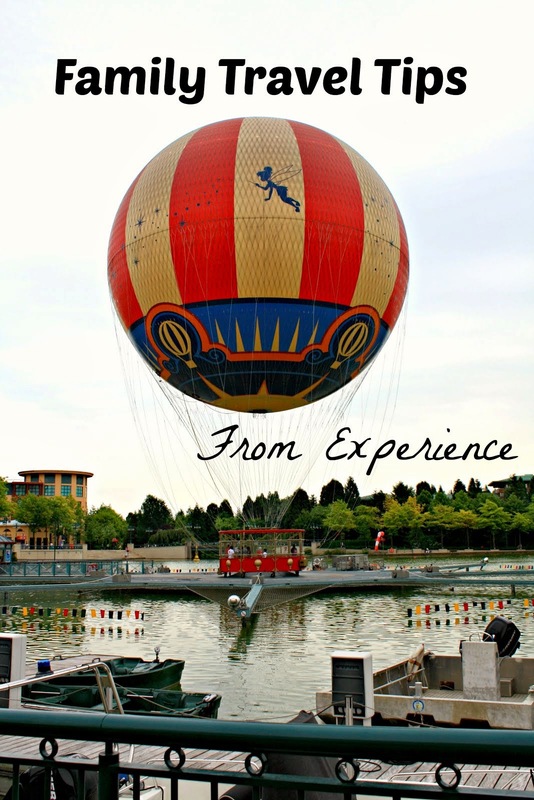 There are so many choices in the area, so plenty to explore on future trips!